Four of the subs will be constructed in China and the remaining four in Pakistan. China will provide the Pakistan Navy with eight modified diesel-electric attack submarines by 2028, the head of the country’s next-generation submarine program told the Pakistan National Assembly’s Standing Committee on Defense during the committee’s visit to the Naval Headquarters in Islamabad on August 26, according to local media reports. The Pakistani senior naval official’s statement in front of the committee members provides official confirmation that the program is moving ahead, although it is still unclear whether a contract has been signed. In April, a senior Pakistan Navy official announced that Karachi Shipyard & Engineering Works (KSEW) had secured a contract to produce four of the eight submarines, which will be fitted with air-independent propulsion (AIP) systems. It purportedly is one of the quietest subs in the PLAN’s inventory. The scaled-down 2,300-ton export version is designated S20. The first four submarines are expected to be delivered by the end of 2023; the remaining four will be assembled in Karachi by 2028. The new subs are expected to form the the sea-based arm of Pakistan’s burgeoning nuclear second-strike triad. The Pakistan Navy is in middle of upgrading its undersea warfare capabilities. In June, Turkish state-owned defense contractor STM won a contract for the mid-life upgrade of three Agosta 90B-class (aka Khalid-class) diesel-electric attack submarines equipped with air-independent propulsion systems. 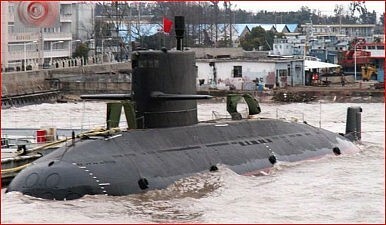 Four of China's eight Yuan-class submarines for Pakistan will be built in Karachi.